If ever President Donald Trump needed a boost out of the swamp, that time is now. Here’s another article describing this long-anticipated event. For those who are uninitiated in the arcane minutiae of CIA-directed blackops and psyops, the following post offers additional background on just some of the heretofore secret details. As for exactly what those many “secret strategies” and “MO tactics” routinely utilized by the C.I.A. are, there will be a number of caches of highly radioactive information to be released from WikiLeaks Vault 7. Each one promises to level the playing field like never before by virtue of the crucial info released into the public domain. With each successive disclosure coming out of Vault 7, it will become crystal clear that the Central Intelligence Agency is the very backbone of Deep State. It will also become known that the C.I.A. not only works closely with every major organ of the Mainstream Media (MSM), but that the MSM is essentially owned and operated by the C.I.A. Because news is considered ‘intelligence”, and news reporting is also known as intelligence gathering, the C.I.A. took over the MSM decades ago. 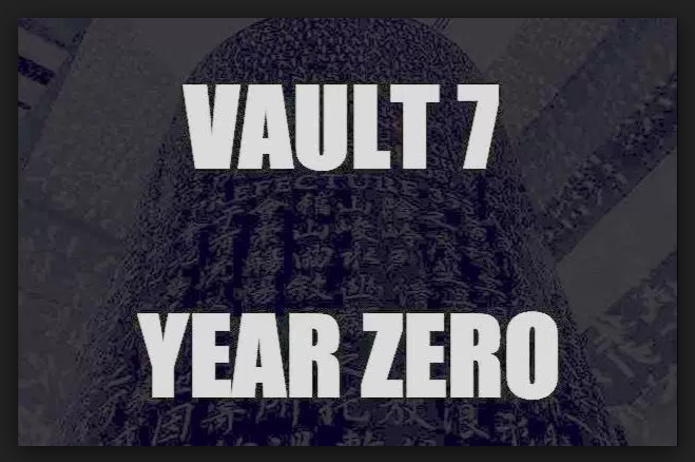 With the historic opening of Vault 7, what has been severely compromised is the key element which has forever distinguished the C.I.A. as the premier arbiter of “actionable intelligence”. Now that their methods and technologies have been disclosed for the whole world to see, The Company (as it is known in intelligence circles) will quickly become a toothless tiger. Nevertheless, it has never been more important for the POTUS to dissolve the C.I.A., as well as shut down the MSM. Any once all-powerful organization that finds itself in its death throes is bound to do a LOT of damage as it thrashes about gasping for air. Furthermore, by taking over the FED, the U.S. Treasury will not only take back its constitutionally-granted power to print the nation’s money supply, it will further deprive the C.I.A. from financial resources necessary to conduct its black operations worldwide. These are just some of the more critical reasons why Vault 7 is such a defining moment in the history of the American Republic, as it is for the world-at-large.